WooCommerce Drop Uploader WordPress plugin is allows you to add powerful Drag & Drop File Uploading area to your Products and Order Page in WooCommerce store. You can set files maximum size, types and amount of filesthat can be uploaded. There are several places on the Product page, where you can add Drop Uploader: After a short description, After “Add to cart” button, After Product Meta info or in a separate tab. Also, you can set Drop Uploader as required. Also, there are several places on Checkout Page, where you can add Drop Uploader: Before Billing/Shipping Details, Before You Order Section or Before Payment Section. There you also can set Drop Uploader field as required. 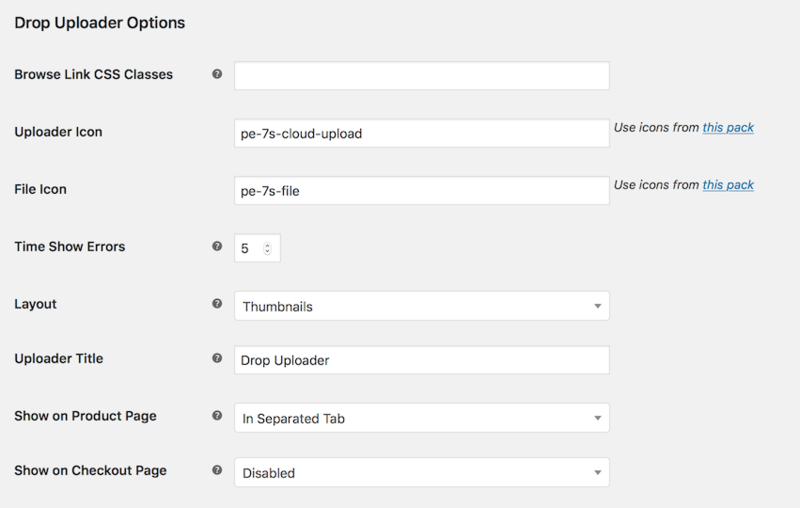 With Drop Uploader plugin you can choose, where to store uploaded files – on your server or in your Dropbox (or both). After your customer will create a new order, you will receive links to uploaded files in a confirmation email. You can allow users to upload only certain types of files. This can be helpful to prevent uploading unwanted or unsafe file types. You can set a maximum file size limit for each file. But if you don’t want to use limit, users can upload very big files (actually without limit). Even if your server have upload file size limit. You can set the maximum amount of files, that can be uploaded via Drop Uploader. You can choose between thumbnail layout and list layout. Two is better than one. 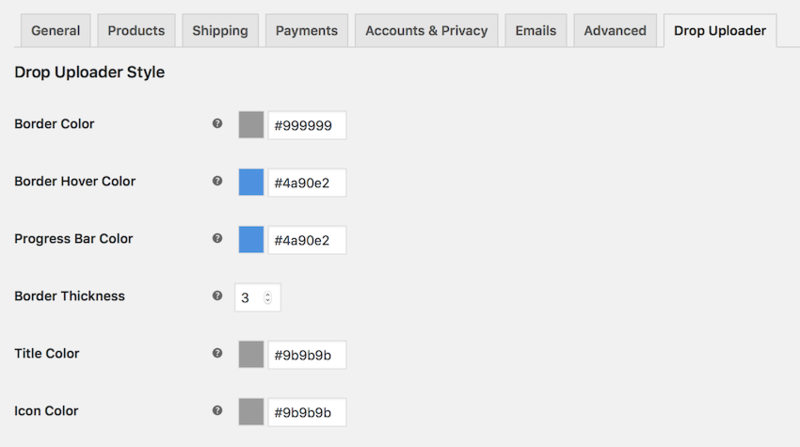 You can easily adapt Drop Uploader to your color scheme by changing the border color, icons color, text color and so on. Drop Uploader is fully compatible with WordPress translation system, that based on .po/.mo files. Also, it supports multi-language plugins, such as WPML and so on.